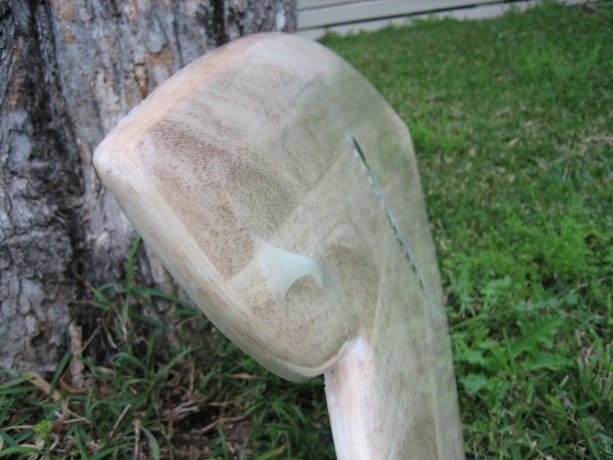 Our first batches of compsands are finished! 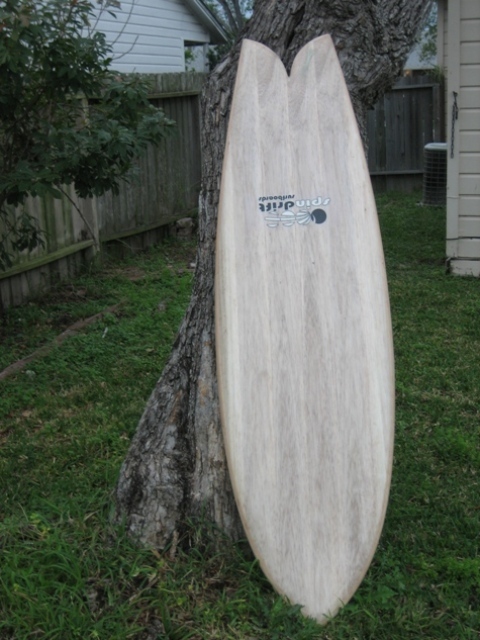 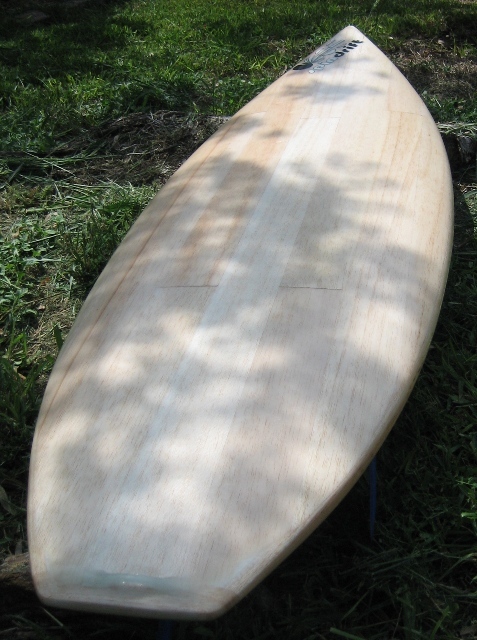 The single-fin egg (7’2) below has a bamboo veneer and carbon rails over an eps foam core; the single-fin shorties (5’8 & 5’10) are done without the carbon rails. 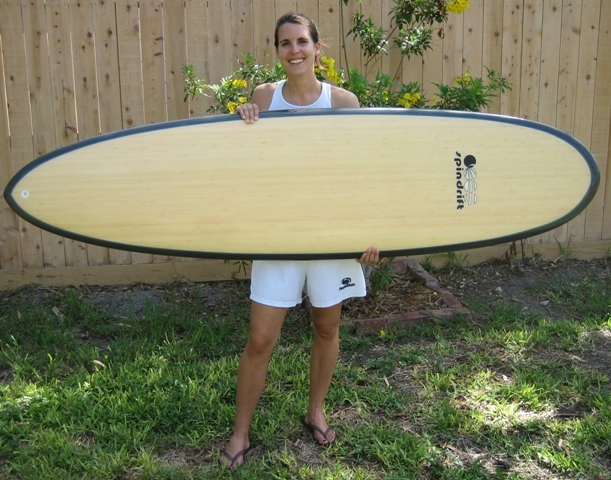 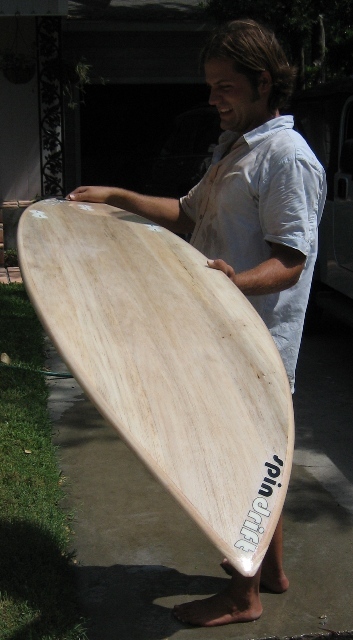 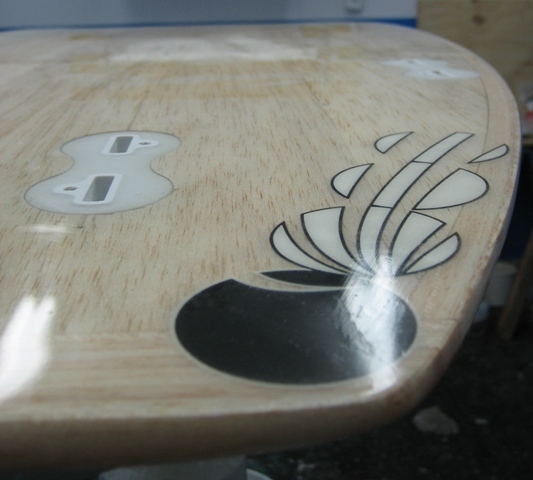 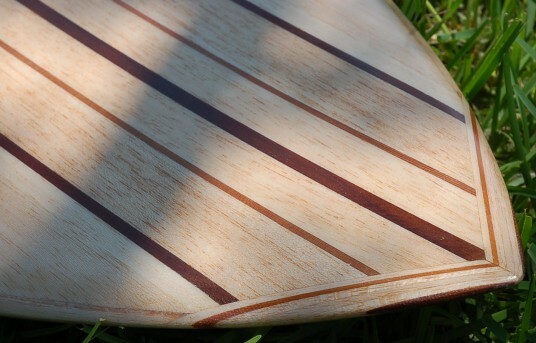 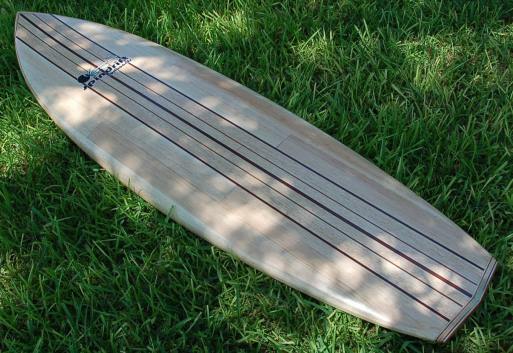 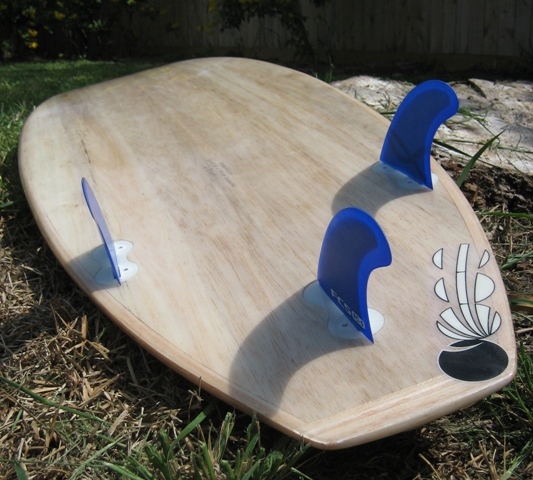 Bamboo is a rapidly renewable natural resource with tremendous potential in surfboard manufacturing. 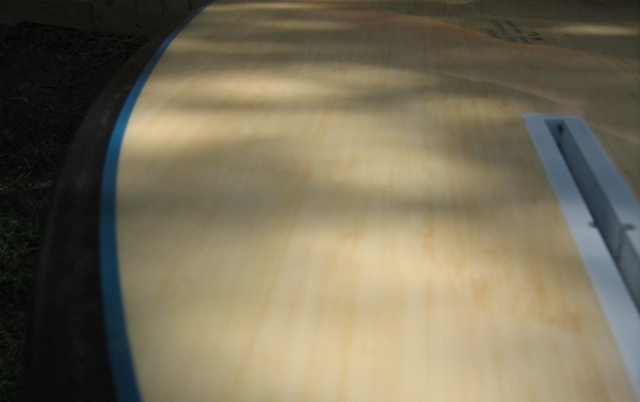 Bamboo veneers add strength and durability and reduce the quantities of other chemical and manufactured components used in the board building process. 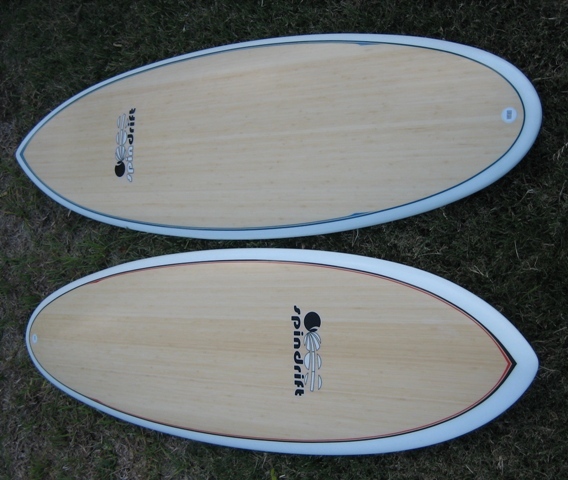 The 3-fin bonzer (6’8), performance shortboard (5’10), and quad-fin fish (5’10) in the second row below are made with balsa skins and rails over eps.